Paul Raymond, the keyboardist and guitarist from UFO who also did stints in Savoy Brown and the Michael Schenker Group, has died only a few days after the band concluded a tour. He was 73 years old. Born November 16th, 1945 in St. Albans, England, Raymond started out playing jazz in early 1964, and formed a psychedelic prog band, Plastic Penny, in 1967. The group, which included future Elton John drummer Nigel Olsson, had a Top 10 U.K. hit with its debut, a cover of the Box Tops’ “Everything I Am,” but broke up towards the end of 1968. From there, he joined the British blues band Chicken Shack, replacing Christine McVie when she became a member of Fleetwood Mac. But after they were dropped by their label following the commercial failure of 1970’s Accept, Raymond and two of his bandmates left Savoy Brown, which itself had seen three of its members depart for Foghat. Raymond had spent five years in Savoy Brown, but during a 1976 show in Saginaw, Mich., where they were on the same bill as UFO, he got into a conversation with bassist Pete Way, who said that UFO were planning to fire keyboardist Danny Peyronel because they wanted someone who could also play rhythm guitar. Upon their return to England, Raymond passed the audition, and UFO entered what’s considered by many to be their classic period. 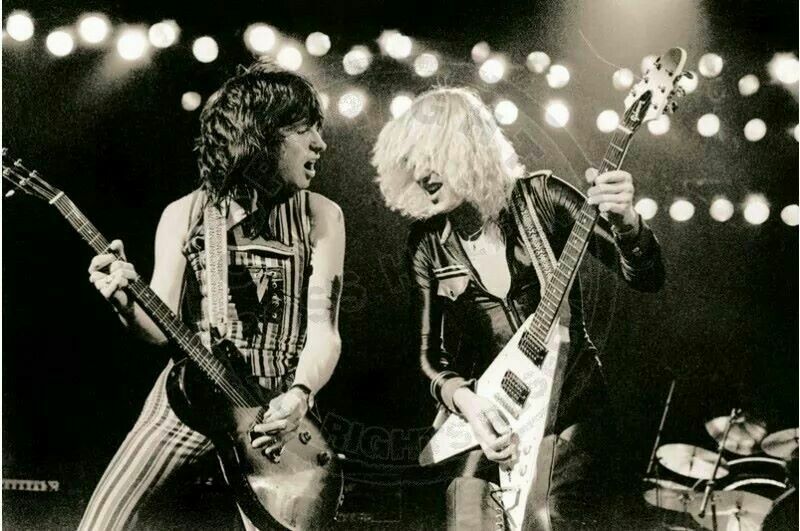 However, in 1981, tensions in the band were running high and Schenker, who had jumped ship to form his self-named group a year earlier, offered him a job. But soon after the release of MSG, Raymond had what his website’s bio described as a “non-music-related altercation” with Schenker and was let go. UFO came calling again, in 2003, and Raymond stayed with the band until his death. It is unknown as of press time how Raymond’s death will affect the upcoming U.S. dates on their farewell tour that begin in October. Paul Raymond first joined UFO in 1976, and played on the classic albums Lights Out, Obsession, and No Place to Run,and on the legendary live album Strangers In The Night. With four different stints in the band, he had been a regular fixture in the lineup since 2003.